The NBA is the type of league were a few teams dominate and the rest follow when it comes to deep runs in the playoffs towards winning a championship. Golden State has set the Gold Standard in recent seasons with three world titles in four seasons, while the Miami Heat and the Cleveland Cavaliers with LeBron James leading the way were also dominant during his tenure with each franchise. 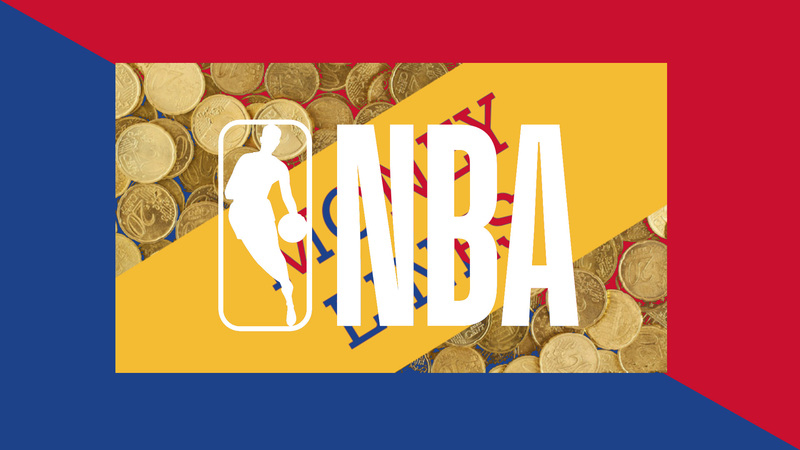 Betting on the NBA is a whole other story given the extended 82-game regular-season schedule. Upsets are very common against the spread on a nightly basis and betting the underdog on the moneyline can often times be a high-value bet given just how many straight-up upsets take place over the course of a typical week of games. The new NBA season is closing in on the quarter pole of the schedule with each team playing close to 20 games heading into the Thanksgiving Holiday weekend. This represents enough early betting action to give some traction to the current league trends. The favorites have won 66 percent of the games SU. This means that 34 percent of the time the underdogs have won SU. That equates to more than 80 SU upsets in all the games played so far. When you factor in the results against the closing spread, the numbers basically balance out to a 50/50 split which is exactly what the online sportsbooks love to see. This also means you could simply flip a coin between the favorite and the underdog ATS to determine which way to bet. Going back to betting the NBA moneyline, the best bet on the board with a 71.6 winning percentage has been favorites at home. Road teams in general have only won 37.7 percent of the time SU. The winning percentage for home teams closing as underdogs is 44.7 SU, making this the sweet spot for finding the best value in a NBA moneyline. If you start to take a closer look at the actual SU record for each of the 30 NBA teams, one thing that sticks out is the Eastern Conference’s Philadelphia 76ers’ perfect 9-0 record in their first nine home games. They have gone just 5-4 ATS in those nine games, which adds up to a losing proposition when you factor in the juice. The Sixers did close as favorites in each of those nine games, but the risk/reward in a money line bet has paid off each time. The East’s Milwaukee Bucks have been another solid moneyline bet at home at 8-1 through their first nine home games. They closed as favorites in eight of the nine games with the exception of a profitable 124-109 victory against Toronto on Oct. 29 as two-point underdogs. The Bucks’ lone loss at home was to Memphis on Nov. 14 in a 116-113 setback as 9.5-point favorites. Over in the Western Conference standings, both Golden State and New Orleans have won eight of their first nine home games SU. This is no big deal for the Warriors, but the Pelicans closed as six-point underdogs in a home win against Utah and they beat Denver at home by 10 points in a game that closed as a PICK. Also high on the list for a moneyline bet at home so far would be the Los Angeles Clippers and the Memphis Grizzlies at 7-1 SU in eight previous home games. The Clippers won two of those eight games closing as underdogs and the Grizzlies were getting points in one of those home wins. Streaks end and start on a dime in the NBA, but tracking a team’s SU record along with any SU winning or losing streaks of three games or more is a good way to find value on the NBA moneyline when it comes to the upcoming schedule.